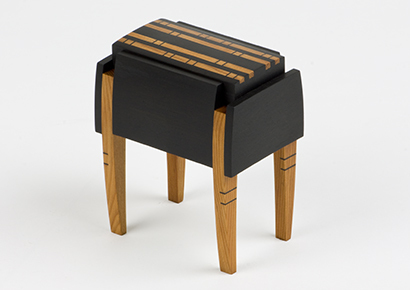 Phil Weber is a woodworker, primarily creating small, intricate, finely crafted boxes. Phil has been making and selling his work for over 40 years, and currently resides in Pennsylvania. 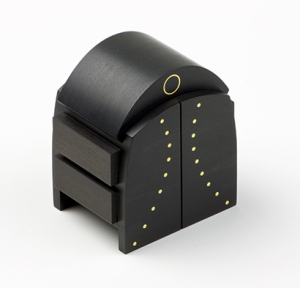 For more information about Phil and how he makes his boxes, visit his website. What I love about Phil's work is that is has the delicacy and precision of fine jewelry. These boxes make the perfect container for a special ring or earrings with their suede-lined interiors and exotic wood exteriors. Click photos to enlarge them. Mouse over the image for prices (or tap the white dot on the bottom right of the screen if you're on a smartphone).